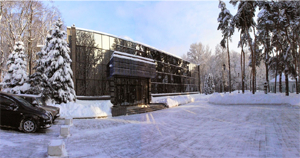 ACCO International Exhibition Pavilion is located in the park area of the central part of Kyiv and has a convenient road junction. It is ideal for holding congresses, conferences and symposia, festivals, competitions and fashion shows, corporate parties and presentations, as well as seminars. 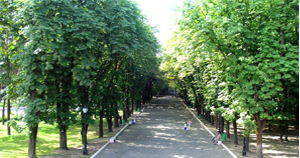 40-B Peremohy ave., Shuliavska metro station, Pushkin Park. From Boryspil airport: Sky Bus to the railway station, by metro to Politechnichnyi Institute metro station, by fixed-run taxi to Pushkin Park stop. From Kyiv (Zhuliany) airport: by fixed-run taxi to Pushkin Park stop or to Shuliavska metro station (then see the map). From railway station: by metro to Shuliavska metro station (then see the map).